Dr. David Bernitsky is a fellowship-trained, board-certified, native New Mexican and has performed over 20,000 LASIK procedures. Active in the field of vision correction since 1985, Dr. Bernitsky specializes in refractive and corneal surgery. Dr. Bernitsky served as an investigator in the U.S. FDA trials of one of the first LASIK lasers approved in the U.S. and has remained a leader in the field of vision correction. Dr. Bernitsky stays current on the latest advances and changes in all types of refractive surgery through continuing education so he can provide patients with the highest quality of care possible. With over 25 years of experience, Dr. Bernitsky is committed to helping the Albuquerque, NM community improve their quality of vision by offering the latest in LASIK technology and providing his patients the safest, most advanced vision correction options available. Dr. Bernitsky attended the University of New Mexico where he received his undergraduate degree and then went on to earn his Ophthalmologist medical degree from the University of Oklahoma, at the Dean-McGee Eye Institute. He then continued his education at the prestigious John Hopkins Wilmer Eye Institute where he completed a fellowship in corneal and external diseases. Dr. Bernitsky is Board-Certified by the American Academy of Ophthalmology and the American College of Eye Surgeons. He is licensed by the New Mexico Board of Medical Examiners and maintains his licensure and certifications through his continuing education, which includes leading and participating in numerous research studies. 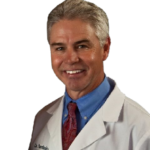 Dr. Bernitsky is the founder and owner of Bernitsky Vision and Director of Corneal and Refractive Surgery at Eye Associates of New Mexico.